Sweet orange is exactly as it sounds – the cold compress of an orange peel. It’s the decompressed oil left after a distillation process. It’s invigorating smell can help radiate positivity, uplift spirits and create a sweet-smelling atmosphere. Use as an antibacterial: sweet orange should not be directly applied to the skin as it may cause the skin to break. However, sweet orange can be used as an antibacterial sanitizer for cuts and wounds. Apply to the skin only if used with a carrier oil or warm water. Circulation and gas control: this oil has medicinal properties that assist in removing excess gas from the endocrine system. You may combine with warm tea or use as a palm inhalation to increase circulation and smelled through the nose. Protect your mouth: many essential oils help protect against nasty sores or bad breath. Sweet orange has an antiseptic property that helps protect the mouth from unwanted sores. When you feel a mouth sore coming on, mix a cup of lukewarm water with 2-3 drops of lemon and sweet orange essential oil. Swish and spit. Repeat as necessary. Use as a home cleaner: sweet orange can be used to clean many household appliances and surfaces. It’s especially useful in deodorizing the dishwasher. Combine one cup of lemon juice with 15-20 drops of sweet orange and place in the dishwasher before using. For yucky smells coming from the garbage disposal, use an orange lemon peel with 5-10 drops of sweet orange oil and grind in the disposal. Sweet orange can also be added to homemade house cleaners. It adds that scent of sweetness to eliminate the smell of chemicals. Anti-inflammatory: sweet orange fits in with this time of year. If boiled with warm water, apples and cinnamon, it can be sipped like a cider or smelled for relaxation. Sedative: it’s not going to put you out for 12 hours, but it can help you relax after a long day. Using an essential oil to replace other sedatives on the market help ease the chances of heart and liver damage. Sweet orange can be used as a sedative simply by smelling out of a perfume roller a few times a day or in an oil diffuser is a great way to relax. Diuretic: sweet orange can be used to help wean the body off of toxins if applied in moderation. Use in a warm bath to help release toxins and improve blood flow. Add with a cup of epsom salt to a warm bath before bedtime. Not only will it feel good but you’ll smell great afterwards. Repel insects: despite its sweet flavor, smell and taste, sweet orange can be used to repel insects – perfect for the upcoming spring season. When flowers begin to bloom, combine 4 drops of sweet orange oil with 5 drops of lavender oil and 4 drops of clove essential oil into a spray bottle. Spray the affected plants or use on the porch when the bugs are on high alert. Tea tree oil is an essential oil derived from leaves of the native Australian plant Melaleuca alternifolia (M. alternifolia). It’s known for his medicinal properties. It’s so diverse that it’s been known to treat colds, sore throats, infections, insect bites and skin infections. It’s therapeutic properties include both anti-inflammatory and antiseptic. As we move towards organic and more natural products, we also see a rise in tea tree oil products in cosmetics, shampoo, oils and nail products. Tea tree oil is capable of eliminating a large number of microorganisms. There’s hope when it comes to fighting acne! Tea tree oil has antibacterial properties that can kill particles that damage our skin and stick to our pores. Due to tea tree oil’s potency, dilute tea tree with water and use as a spot treatment. 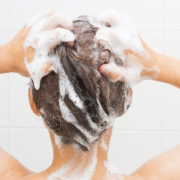 Makeup removers are rooted in chemicals. Luckily, tea tree has properties that’ll make taking off makeup feel cleaner. Place on a cotton pad and remove! Tea tree should not be taken orally. It should only be used topically. THere’s a way to go about not ingesting tea tree oil. Use a damp wash cloth with tea tree oil drops and drape around the throat or area affected. Repeat this periodically for the full effect! Tea tree oil is an active ingredient in natural deodorants. But first – you’ll see shea butter. Shea butter is a fat extracted from the African shea tree. It’s a great thickening ingredient to add to deodorant. You’ll need baking soda. Baking soda naturally neutralizes so that’s a must-have. Then, you’ll need arrowroot powder. Arrow root powder is like cornstarch. Lastly, you’ll need tea tree oil. It’s the ultimate anti-fungal oil that’ll add to the most potent property of this homemade deodorant. For the full recipe, visit Modern Hippie Housewife. For the garbage…there’s a cure for that stench too! Soak tea tree oil in small makeup remover pads and place on the bottom of your garbage. It’ll add a little bit of neutralization. Fight Athlete’s Foot! Athlete’s Foot is primarily a fungal infection. Use tea tree oil for a bedtime soak. While it won’t fully treat Athlete’s Foot, it will help reduce the symptoms of Athlete’s Foot. Make a warm bath. Add 15 drops of tea tree oil and soak for 20 minutes. Not only will your hands feel smooth, but your cuticles will thank you too. This is the perfect way to start a manicure. The answer to your question is yes. Oil does have a thousand uses, including using them on your nails! Essential oils, when mixed and prepared properly, can stimulate nail growth. Here are some ways to use oils (both essential and non) to strengthen and grow your nails. Make a warm lavender bath using a few cups of warm water, epsom salt and 5-10 drops of lavender. After soaking, apply drops of lavender directly to the cuticle of your nails. Oh hey! 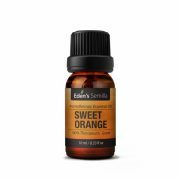 Sweet orange is a great essential oil to use to stimulate nail growth. Apply a few drops to the cuticles or ends of your nails. Try this for a week at a time and ensure no reaction occurs. Simply add these essential oils together with warm water. Blackstrap molasses is a syrup but just for giggles, we’ll classify it as a oil replacement as it helps strengthen nails. Don’t apply to your fingers! Instead, add a teaspoon to warm water and sip. Its qualities are said to help prevent bitter nails as it works from the inside out. When flaxseed oil is pure, it is a great oil to use. Finding pure flaxseed oil isn’t difficult – just requires a little label reading. After a warm water bath for your hands, apply flaxseed oil to the cuticles. Vitamin E has the strengthening force to help hair, skin and nails. Its ability to protect bone and connective tissue makes for a great oil to apply. Apply at night (no sunshine at night, am I right?) Use with caution, however, as vitamin E oil can be strong and may irritate sensitive skin. Dead Sea salts not only make hands silky smooth but also remove dead skin. Make a warm salt bath with warm water, ¾ cup of dead sea salt and either lavender or sweet orange essential oil. Soak for 30-35 minutes. Afterwards, put on a pair of gloves to hold in the moisture. Using essential oils can feel a little greasy when you first begin using them. Use gloves after dipping your fingernails into essential oils and before bed. This help locks in the oils and moisture. Try a pair! There are many options for applying oils to your nails. The key to this all is to apply consistently so that your nails adjust to each oil and utilize the properties of the oils. Lavender has some interesting history behind it. The Egyptians used lavender during the mummification process. The Romans used lavender for bathing and perfume. One of the most famous of all is when Mary apparently used Lavender to anoint Jesus with her hair. It’s believed it was lavender essential oil, but we may never know. Now, lavender is used to soothe the mind, relieve tension and provide overall medicinal benefits to its user. Lavender has anti-inflammatory properties. Some research shows diabetic is really a build up of inflammation. That’s where lavender can come in and reduce inflammation. It helps increase blood glucose, reduce weight gain, replenish liver and kidney antioxidants and stimulate cell growth. This is particularly important in diabetic patients as free radicals often “steal” fat molecules from cell membranes. Lavender can be applied in many ways. It’s said to increase blood circulation. This can be done in a variety of ways such as mixing pure cocoa butter and lavender essential oil to make a paste and applying to areas that may need a little extra boost. It’s beneficial to areas that may remain stagnant for long periods during the day. Areas include the lower back, feet and calf muscles. Helped produce three of the most powerful antioxidants: gluthaione, catalase and SOD. There are so many wonderful ways to add lavender to a simple dish. It can be added to muffins or even pastries. It pairs well with honey, apples and cranberries. Adding small amounts of lavender is a quick way to get those antioxidants in your system. As a topical application, lavender and clove oil can be used in combination to stimulate antioxidant production. Do not ingest. Rather, apply both essential oils with a carrier oil and massage into the skin topically. The feet are a great place to start! A cold compress will do! Using a cold or lukewarm washcloth, place a few drops of lavender essential oil and place on your forehead. Sit back and relax and let the oil infuse into your skin, helping to ease the pain of migraines and headaches. Place a few drops of lavender essential oil in an oil diffuser before bed to assist with those late night headaches. Buy as therapeutic grade! That’s the most important element when purchasing lavender. It can help release nervous tension. For those with mental illness, lavender could be the cure for relieving symptoms of depression. An evidence-based study was published by the International Journal of Psychiatry in Clinical Practice stating that that supplementing with 80 mg capsules of lavender essential oil alleviates anxiety, sleep disturbance and depression. Who doesn’t want a little extra sleep at night? Coconut oil and lavender make a stellar team. Combine both and apply to cuts, wounds and burns to help alleviate pain and begin the healing process. For troublesome eczema, combine coconut oil, lavender and a few drops of vitamin E oil. Over time, this can greatly decrease eczema or puffy red spots. Muscle pain relief: peppermint is notorious for its ability to ease muscle pain. Many creams and potions can be applied directly to the afflicted area. Give yourself a break. Take about 2 tablespoons of peppermint essential oil and warm it between your hands. Massage the oil into areas in need of relief. This is a great alternative to painkillers if done when the pain is at its lowest tolerance. Ease your sinus pain: perfect for chilly weather! Peppermint essential oil is potent, but in a calm and soothing way. To ease sinus pain, make a peppermint oil steam. Add 5-10 drops of peppermint oil to a steamy bath. Soak until sinuses feel less congested. Allergy relief: Peppermint can ease allergy relief. From pollen to mold to dust, peppermint can do the trick. Peppermint acts as an expectorant, meaning it provides relief for allergies, as well as colds, coughs, sinusitis and asthma. Peppermint can loosen phlegm, too! Bug repellant: Fact: spiders don’t like peppermint. To create a bug repellant, gather the following items: a spray bottle, peppermint essential oil, lavender essential oil and water. Mix a gracious amount of water into the spray bottle with 10-15 drops of both peppermint and lavender. Spray the plants where spiders like most! Soothing: when inhaled, peppermint gives off the aura of soothing and meditative. Peppermint leaves can be prepared in a way to create a soothing tea. It’s not just the oil that carries the medicinal properties! Aids in digestion: peppermint capsules are the go-to for those suffering from Irritable Bowel Syndrome. Rather than taking an antibiotic, health practitioners are flocking to peppermint capsules. Peppermint is said to relax muscles in the colon to help release toxins, therefore making a smoother ride out the intestines and colon. Prevent cracks and breakage during breastfeeding: while still a relatively new concept, peppermint can heal broken skin seen after breastfeeding over a period of time.To use, add a carrier oil to peppermint oil and rub thoroughly on the affected areas. Repeat as necessary. Decrease symptoms of tuberculosis:New research suggests that inhaling peppermint essential oil can rapidly regress inflammation caused by tuberculosis. 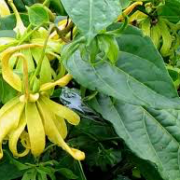 Research on this matter is still relatively new, but with continued research, tuberculosis could be prevented with the power of this natural healer. Smell good from the inside out: peppermint is a common ingredient in toothpaste. With its natural ability to decrease bad breath, peppermint can help clear your respiratory tract. Rubbing peppermint essential oil on your chest can help release tension in the respiratory tract and lead to better smelling breath. Sandalwood is most distinguishable by its woody smell and pressed carvings. It comes from a tree grown in southern Asia. It’s unique in smell and texture making it distinguishable both in a visual and smell. Sandalwood has its roots in India; it’s considered holy. It is bestowed upon women during and after marriage and a sacred gesture during passing. Sandalwood paste is used to decorate Indian deities. It is so delicate that it requires permission to cut and harvest. Sandalwood takes 40-80 years before its harvested, showing the sanctity of the precious plant. Growing up to 33 inches, sandalwood harvests the roots and nutrients of other plants. Its scented carvings can be altered into many forms like oil providing many benefits and uses. Sandalwood’s most important organic compounds are the alpha-santalol and beta-santalol. The beta gives sandalwood the very distinct and powerful fragrance. The alpha gives a therapeutic quality. Sandalwood should not be ingested directly unless properly prepared, infused or distilled but it does hold benefits in its natural state. Sandalwood is said to increase mental clarity, increase memory, decrease blood pressure and serve as an antiseptic. It is potent. In oil form (diluted with a few drops of water), it can be used to decrease inflammation after a wound. Sandalwood is well regarded in the skincare industry as a mechanism to reduce inflammation with rashes, decrease the effects of eczema, and reduce acne. Its anti-inflammatory properties help assist both physical and mental ailments. This includes inflammation in the brain, digestive, nervous, circulatory, and excretory systems that result. These can result from fevers, insect bites or wounds. Relax: add a few drops of sandalwood oil into a humidifier for added relaxation at bedtime. Add 4 or 5 drops of sandalwood into the vent of your car during rush hour. Increase focus: smell sandalwood on a perfume roller a few times a day (particularly when your mind is feeling foggy). Smell the scent directly out of the bottle but ensure its held at least an inch from your nose. Use for your body: to ingest, sandalwood must be prepared properly. Add one teaspoon of heaped sandalwood with 1 cup of water. Slowly boil for several minutes, ensuring the pot is covered. After, drain the herb and drink 1 or 2 cups of day of this mixture to clear skin from the inside out. Drops of sandalwood can be added to unscented lotion for the extra boost in woody scent. Make a face mask: combine face clay, water and one to two drops of sandalwood. Mix together and use as a face hydration mask. Leave the mask on for 5-10 minutes before cleansing with warm water. Use as a calm sense during meditation: 5 drops of sandalwood and 4 drops of rose water into a humidifier and smell during meditation. Sandalwood is sacred in nature and when used correctly can provide benefits both physically and mentally.